Robert is an engineer by background and has been active in the property industry for over 30 years most recently as General Manager of Frasers Property Australia (formally Australand). Over his career, Robert has always had a keen interest in the development of all housing types and in particular, a focus on housing affordability. His experience extends from the development of land subdivisions through to medium density housing and apartments. Over his time with Frasers Property Australia, Robert steered it into the social and affordable housing space with the redevelopment of two significant Victorian government housing estates. Robert believes that “housing for all – rich and poor” is not only a fundamental human need but it is also in the long-term interest of the economy as it will reduce social service costs consequently he believes that social and affordable Housing is economic Infrastructure. 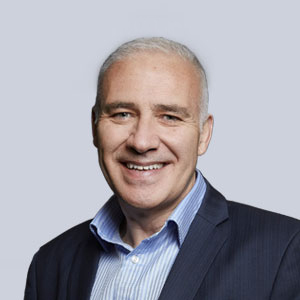 He is currently the founding chair of Housing All Australians, on the Board of Salvation Army Housing, the Board of Advisors for the Property Industry Foundation (Vic) and the HIA in Victoria. Robert is also a past Board member of the Property Council of Australia, Residential Development Council, UDIA (Vic), Livable Housing Australia and the Heritage Council of Victoria. That all people with disability and complex care needs have the opportunity to live in high quality housing that enables them to live as independently as possible, enhancing their health, well-being and participation in the community.